Samsung has now revealed another low budget Android based smart phone breed in the form of Galaxy Appeal which is the low cost smart phone from the family of Galaxy. Samsung recently have added this low budget breed in the family of Galaxy smart phones and it is supposed to be the first side slider smart phone breed from AT&T. 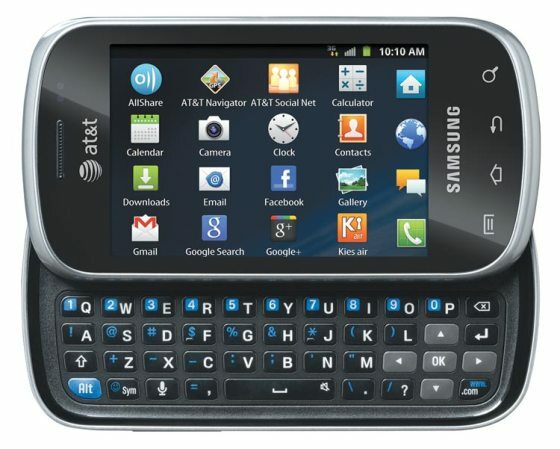 This smart phone comes with slide QWERTY keypad and offer best support to texting and emailing. Galaxy Appeal is powered by Android Gingerbread 2.3 firmware and has 3.2 inches capacitive touch display which offers soothing interaction on the 3.2 inches touch display. Along with this it also has 3MP rear camera which allows the zooming of 3X and is capable of recording videos at 24FPS. It has 512MB RAM and expandable memory up to 32GB via microSD. Battery is of 1300 mAh, which offers reasonable talk time of 7 hrs and standby of 300hrs. Galaxy Appeal will soon be available with AT&T Go Phone distribution channels which are suppose to start from coming 15th July 2012 and will be available with attractive data plans. Firefly Fun iPhone App Review - Relaxation App For Everyone!